ModBargains.com provides Subaru Impreza WRX BC Racing RS 43 Wheels for all models. Call to speak to one of our Modification Experts @ 714-582-3330 today! The BC Racing Wheels RS 43 is innovation at its finest. BC Racing Wheels pride themselves in being one of the lightest and strongest wheels in the business. And all of this high quality comes from their past. Ever since BC got into the wheel arena they constantly tested and improved their products until they got a result that was better than they expected. The RS 43's sleek and sporty 12 spoke design is amazing in person. And what's great is that with BC Racing Wheels you are never compromising looks for performance. They aren't called RACING wheels for nothing. They are actually tested out on the track on their sponsored circuit and drift cars. Speaking of drifting, which is the motorsport that BC specializes in, it is one of the most demanding environments for wheels. Car to car contact is constantly being made when the cars are sliding across the pavement side by side. And the drift car's wheels have to be able to handle tons of horsepower as well as sideways forces in order to get them into that winner's spot. So BC Racing Wheels really do live up to their name in every area. They are strong, durable, light, look absolutely amazing, and can be made to fit your ride perfectly. The possibilities and applications of the BC Racing Wheels RS 43's are just about endless. Whether you're putting them on a daily driver or a full on race car, BC Racing Wheels will outperform the task at hand. They can handle just about anything! So if you're looking to grab a set of RS 43's for a great price, please talk to one of ModBargains' product experts to get the fitment and finish that you want. We'd be happy to help you at our phone number: 714-582-3330. The BC Racing Wheels RS 43 can come in just about any color or finish that your mind can imagine. The limitless customization you can apply to BC's wheels is what gives you car that unique look that distinguishes it from the rest. And with the help of one of our ModBargains product specialists you can order your dream wheel fitment and style in a matter of minutes. 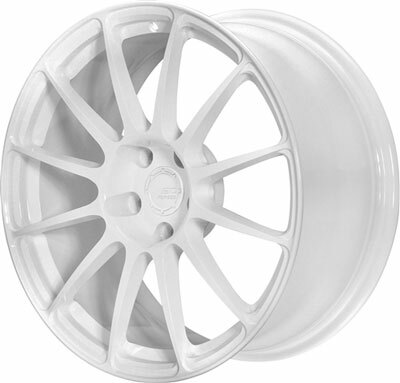 So if you're ready to grab a new set of BC Racing Wheels RS 43's, give ModBargains a call at 714-582-3330. Buying your BC Racing Wheels from ModBargains is an excellent decision. Our product experts will ensure that you order the right fitment and wheel for your car and answer any questions that you may have with ease. We also offer the best customer service in the business, and our delivery times for wheels are quick and easy for your convenience and happiness. We offer great prices on BC Racing Wheels. If you're looking to completely deck out your ride with a new look that's light and strong, grab a set of BC Racing Wheels RS 43's at ModBargains!